Other references: National Woman’s Party papers, PDF; Article about Grandmother Edna Kearns that appeared in a Long Island paper. Other sources: an award-winning story about how Edna risked her life for Votes for Women, and an article in New York History. 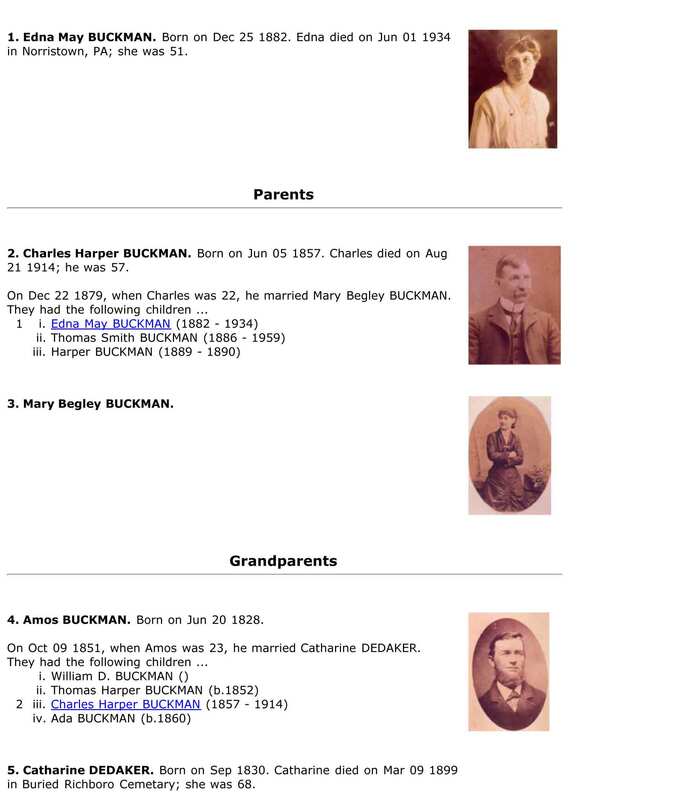 Her family history: Parents to grandparents. 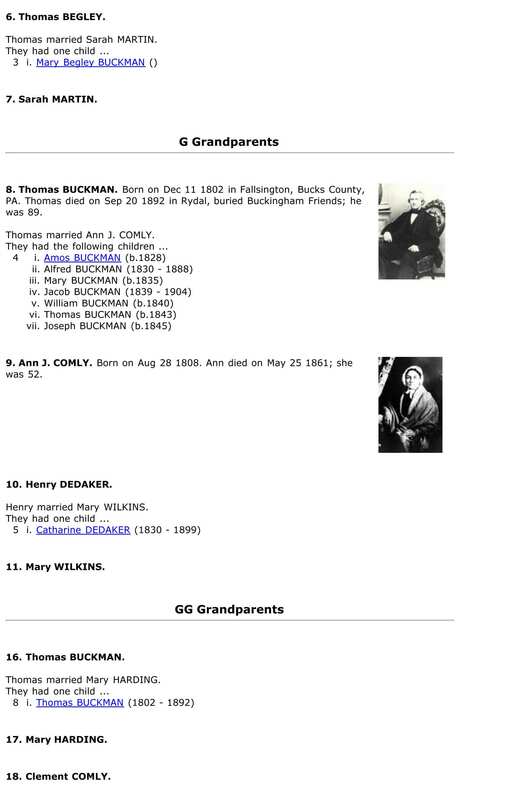 Great grandparents to great-great grandparents. Above photo: Edna Kearns, far left, with family members and her parents, to the far right. Subscribe to Suffrage Wagon News Channel. When will grandmother’s wagon be in exhibit again? I’m learning as I go along. Keep the stories coming. I love it! 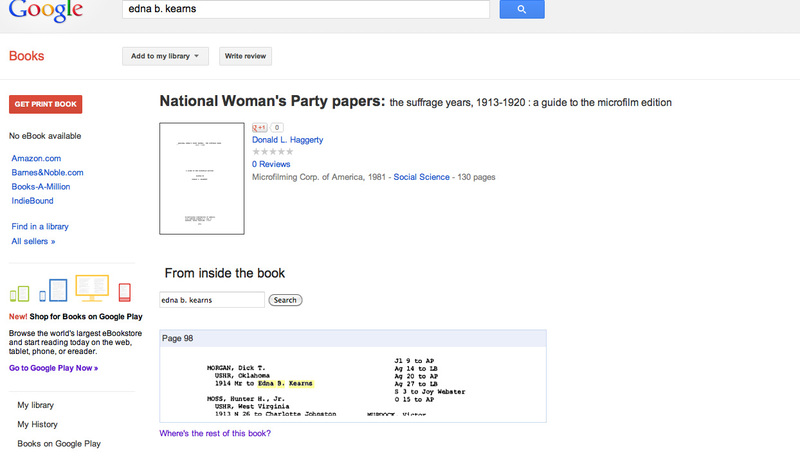 Of all the searches I did, couldn’t find anything as intriguing as your suffrage wagon blog. There’s something truly special in this site. Thank you for such hard work. There’s so much written about the leaders at the top, and relatively little about the women who marched in those parades, sold newspapers on the streets, planned and attended meetings. To attach a name and face to these women, which is what you’re doing with Edna, is a way to make a bridge and connection that lasts.